Google as a supporter of the event organized a Google Hangout, so students could talk to Google engineer Mihai Stroe. We have published the final results of On-site Contest. We would like to congratulation all the contestants and all the winners! “Programming today is a race between software engineers striving to build bigger and better idiot-proof programs, and the Universe trying to produce bigger and better idiots. So far, the Universe is winning.” Rich Cook. “The perfect computer has been developed. You just feed in your problems and they never come out again.” Al Goodman. “If the automobile had followed the same development cycle as the computer, a Rolls-Royce would today cost $100, get a million miles per gallon, and explode once a year, killing everyone inside.” Robert X. Cringely. Facts about the 2nd competition session and task selection.. Describe a problem story in natural language that is similar to an “everyday” life situation. This means that the story specifies a possibly infinite number of instances. Next, there are given some problems, questions that have to be solved or answered for the situation. Finally, the input data structure is specified, that typically restrict the problem to a more specific problem. To be successful in solving the task, the contestant has to find a good algorithmic approach for the story, the input and the questions. After that, she or he must find an efficient algorithm, or a good data structure, or both that solves the task for each possible input instance. That’s not enough, they have to implement the algorithm and the data structure in general programming language, type it fast, test it and send it to the evaluation server. The server than runs the code for the set of input instances and it measures the processing times. Achieving the highest score is possible if an only if when the selected algorithm is as fast as the theoretically fastest algorithm. 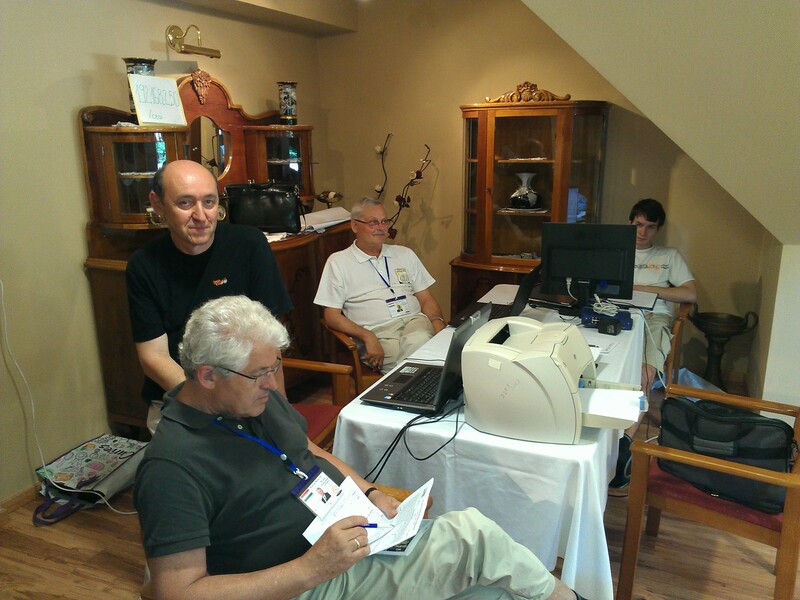 We have published the preliminary results of the Internet Contest. Thank you all for taking part in this competition!